Kaiser was new to the industry but Frazer had easily won his spurs. He had worked for all the major automobile manufacturers, ending up as President of Graham Paige. The pair revealed their first prototypes at the Waldorf Astoria hotel in New York on 20 January 1946. Three months later there were 266,849 people on the waiting list for one of the new cars. The 100,000th car was supplied in September 1947. 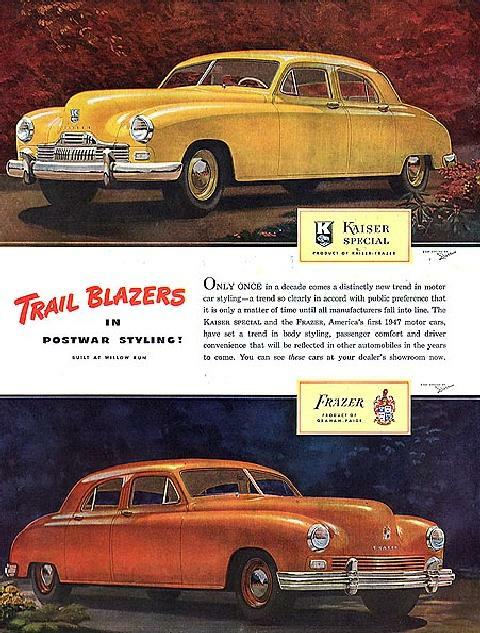 The range consisted of four models: the Kaiser Special, Kaiser Custom, Frazer Standard and Frazer Manhattan. All four cars shared the same body and differed from each other only in detail. A great deal of money was lost in the first year but after a while things were going well. 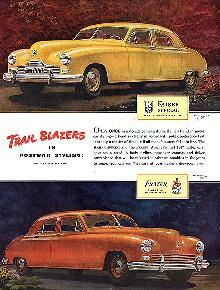 The company made $10,000,000 in 1948 but this was entirely re-invested in new models.